Reading Teresa Stenson’s recent blog post on The Bridport Prize has come as a timely reminder to polish my own entry for this year’s Bridport, and it also reminded me of 2010 when my poem, ‘Honeymoon’, was a runner-up in the Poetry Category. At the awards ceremony in the Bridport Arts Centre, one of the topics of conversation was “How long did your poem take to write?”. I possibly took First Prize for Slowest Poet as I’d begun writing ‘Honeymoon’ in 2005! It had started life as a short story that I’d eventually had to abandon after writing, re-writing and re-writing again. I was trying to say something about the cyclical nature of life but I couldn’t write it beyond the first few pages. But like an abandoned orphan in a bad Victorian novel, ‘Honeymoon’ refused to be quiet and, over the years, the opening sentence, “I wouldn’t call it a Honeymoon, those silent nights in cool, damp rooms” shouted from the coal cellar, demanding to be released. In between other writing projects, I kept trying to write ‘Honeymoon’. I submitted to The Bridport Prize, on-line, with less than a week to go to the deadline. The poem still revolved constantly in my head although I tried not to think about it or to be too hopeful. 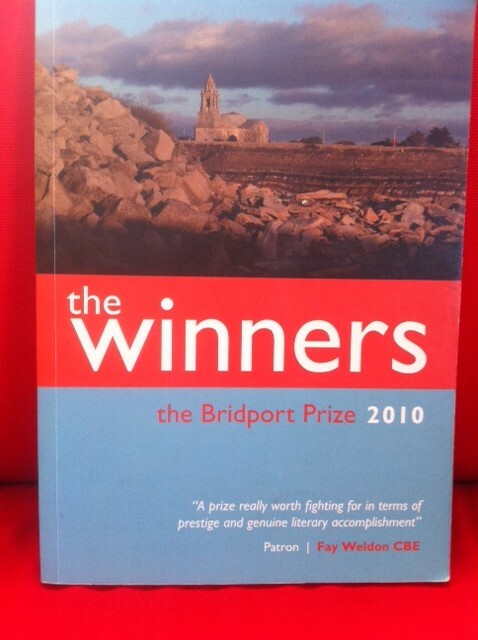 Winning a prize at Bridport was wonderful. I’d had some writing successes in the 1990s, with short stories published in anthologies, a story and a play broadcast on BBC Radio 4 and a stage play professionally produced in London. Then life and children, beautifully but distractingly, had intervened. I still wrote and sent work out occasionally, I’d had another meeting at the BBC for a second radio play, and a stage play had been long-listed in a competition, but I’d had no acceptances for ten years. At Bridport I met the amazing poet and 2010 Poetry Judge, Michael Laskey, and attended his inspiring workshop. It was so gratifying and exciting to talk to him about my poem, and to hear why he’d chosen it as one of the winners! I met Ian Pindar, another runner up that year, whose second collection is forthcoming this May from Carcanet. Being quite new to poetry, I asked Ian who to read and he gave me a comprehensive list which I’ve been working my way through ever since. I was also able to ask him to talk me through some of his poems. How often are you able to do that? I talked poems, books and literary gossip with Jennifer Olds, a lovely Professor of English who’d travelled from Southern California to collect her runners-up prize! It was an afternoon full of lively and thoughtful conversations, readings, good will, good food and even nicer wine. I met so many interesting people, including the staff and readers from the Prize, and a sprinkling of literary celebrities. I shared a taxi to the station with the novelist Zoe Heller, who’d given a fascinating and hilarious talk the previous night before a showing of ‘Notes from a Scandal’, the film adaptation of her book. I met up again with Esther Morgan, Poetry First Prize Winner, who I’d known over ten years earlier studying for my MA at UEA. It was such a pleasure to meet Esther again and to be able to congratulate her on her successful poetry career. I’ve had a few more writing successes since Bridport and I write daily now. I’ve had far more rejections than acceptances and I do get down about it sometimes. But remembering Bridport 2010 never fails to cheer me up. Good writing and reading to everyone involved this year! Read Josephine’s winning poem Honeymoon here. Thanks for sharing your experience – I’d almost decided not to attempt an entry with so much competition – now you’ve made me think again! Thanks for reading! I know exactly what you mean – but someone has to win! I’m trying again this year. Hi Josephine – thanks for linking to my post. I’m pleased you felt inspired to write about your experience. I’m really intrigued by your poem, and the process too. It must have been like an eureka moment when you realised it wasn’t to be a piece of prose, but a poem instead. My story, ‘In a seaside cafe’ was written quickly, then did the rounds at a few competitions and was rejected several times. It’s half written in lists and I knew a reader/judge was going to either ‘get it’ or really not get it (like most stories maybe) but I was a huge Ali Smith fan and thought, though it felt naive at the time, she might like the style of it. Lucky it made it past all the pre-stages (same story didn’t in 2007) and into her hands, and she ‘got it’. That’s the most meaningful part of the whole thing for me. Good luck to you for this year. Thanks Teresa. Yes, it’s fascinating to know that the same story made it through one year but not another. A really useful lesson for any writer.